Planning coursework for high school can be a daunting task. How do I know which courses my child needs to take? Will my child have enough credits in each subject to meet my state's graduation requirements? Will my child meet the admission requirements for his college of choice? I had the same questions last year when my son started his freshman year of high school. I knew I needed to look at the big picture to make sure that we didn't end up behind in his coursework. So I made up a spreadsheet to help me plan his four years of high school credits. I'm offering it to my readers as a free download for personal use, in both Open Office and Excel versions. You'll be able to download the spreadsheet planner at the end of this post. Here's how the homeschool high school credit planner works. 1. Fill out the required high school credits sheet. On this sheet you'll type in the subjects and all the coursework and credits you want your child to complete based on your state's graduation requirements or the admission requirements for your college of choice, whichever you prefer. The courses won't be organized by year; it's just a list of all the required course (or options for courses) in each subject. 4rd credit—Choose from: precalculus, trigonometry, computer science. This might take a bit of research on your part since all states have different graduation requirements. And of course, since this is your homeschool, you are more than welcome to exceed those graduation requirements if you choose! In some states, like Texas, homeschoolers don't have to meet a specific set of course requirements to graduate. 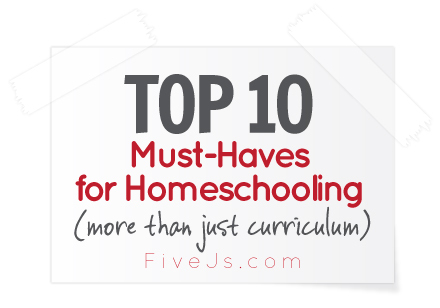 However, colleges do have requirements for admission, so you might want to look at some college admission requirements for homeschoolers to determine what courses will be required for your student to be admitted. Since our family lives in Texas, I looked at our local public university's admission requirements and discovered they required homeschoolers to meet the minimum high school graduation program for the state of Texas. Then I googled "Texas high school graduation requirements" and easily found the website for the Texas Education Agency where they had a pdf of the 2011-2012 Texas state high school graduation requirements. I printed off that information and used it to fill out the spreadsheet. 2. 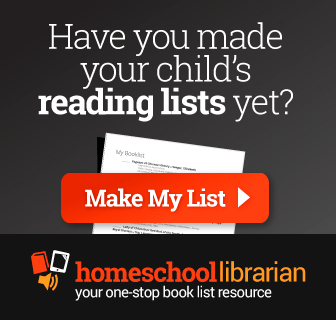 Plan which specific courses your child will take and when he'll take then. To plan the actual courses, you'll choose from one of the two remaining sheets in the planner. One sheet lets you plan your child's high school courses by year, and the other lets you break it down into semesters. You don't need to use both. Just choose the format you prefer to plan with. Regardless of which format you choose to use, the information about required credits you filled out on the first sheet will be pulled automatically into these planning sheets. You'll start filling in the specific courses you want your child to take in the appropriate year or semester. As you fill in credits for these planned courses, you'll see the updated credits required on the left of the sheet. That way you'll know if you've planned enough credits for each subject. As your child moves through high school, you can easily adjust the planner to record actual credits earned and readjust the plan for future years. Since it's a spreadsheet, the credit totals stay updated whenever you make a change. I've created both an Open Office version and an Excel version. To download the files, click on the links below. You may need to right-click and chose "Save As". 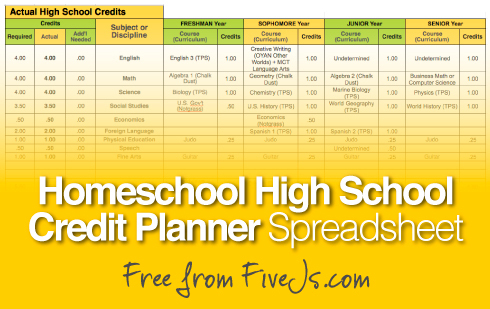 Homeschool High School Credit Planner 1.1 (Excel version — 29K) **Right-click and choose "Save As"
1.1 (8/26/13) — Fixed typo to replace Sophomore with Junior on semester sheet. 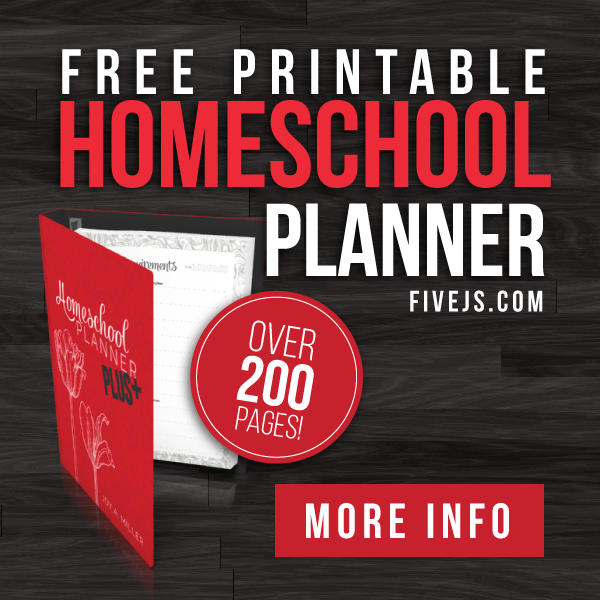 By the way, if you don't have a gradebook yet, you might like my free Gradebook+ homeschool grading planner which helps you track each year's school work and print grade reports, activity lists, book list, attendance, etc. This seems like a cool tool, I guess, except that the premise of building your course-load based on what it required by one public school system is short-sighted. Texas does not have any requirements for home schoolers' graduation. Home schools are private schools and singularly responsible for choosing not only course of study, but graduation requirements. Individual states have different regulations; check with your local authorities. My children's high school course of study has been determined by their own interests and goals. One child had a goal of playing high school football, so his course of study included attending a program that allowed him to play football. This included charter school, home-school co-op, and public magnet school. My next child wants to be a business owner and artist and musician, so he was given an abbreviated 3-year high school experience that included 3 English, 3 math, 3 science, art classes and graduating early to go on to community college. The next son is working his way through Khan Academy videos and Hippocampus.org while working regularly on computer aided drafting, movie making, and IT technology. He is my Genius Bar. What will his transcript look like? I am not sure yet, but when he gets to the point where he's ready to move to a next step and get a diploma, I'm sure he'll succeed. @Amy, You are definitely correct that there are not graduation requirements for homeschools in Texas. However, there are admission requirements for colleges, and most of the time their minimum requirements are the state guidelines. Our local university, for example, requires homeschoolers specifically to meet that minimum standard. @Joy @ Five J's, well, if there is an assumption that the only course for continued education is to apply to colleges as a Freshman with a traditional transcript, then you are right. However, community colleges do not minimum standards- pretty much apply and go. You can even apply as a teenager without a diploma. And once you have a transcript from a community college you can apply to any institute of higher learning and they'll never ask about your high school transcript. The Colfax family (Hard Times in Paradise, Homeschooling for Excellence) unschooled their oldest sons who managed to get advanced degrees from Ivy League schools without traditional high school transcripts or courses of study. I had a child attend a charter school for 9th and 10th, but I didn't like how it was going and pulled him out for a "gap year" before enrolling him in a magnet school for 11th and 12th. He ended up with 5 years of high school. My next child has 3 years of high school undertaken at age 13-16 and has a diploma that I issued him. It's just quite possible to completely break the mold of the recognized 4 years of high school and achieve great success- colleges are especially accepting of homeschool students and students with alternative high school experiences. Because there is a nationwide consensus that the way we've been doing high school is not working for most kids, it's folly for homeschoolers to simply step into their paradigm. We have freedom to make our own paradigm, and more experienced homeschoolers should share freely about this freedom. It's easy to copy their system, but is it beneficial? This is very good and thoughtful information. I am new at homeschooling and I have been struggling to help my son pursue his passion while also gaining his education. I like what you have said and this would be great for us. He is a musician and entrepreneurial type. He resents (and so do I) – what we perceive is the guideline we have to follow if we educate at home under our county board of education. We are now enrolled under the umbrella of a local Christian School, but the basic guidelines for credits is the same as the BOE. Such as 4 credits (full courses of English, 3 math, etc). Can you guide me how to become my own home school? Or in what way can I get away from this? I thought it was just the law and I HAVE to do it their way? But as you stated, many parents are finding the public school thing isn't working for many of our children and we feel like this is wasted valuable time because the education is not focused for each individual. I live in Maryland. Thank you, Joy! This is a valuable tool for homeschool families who plan to provide their children with the opportunity to choose any four-year university they wish–without relying on a community college curriculum to meet university admission requirements. 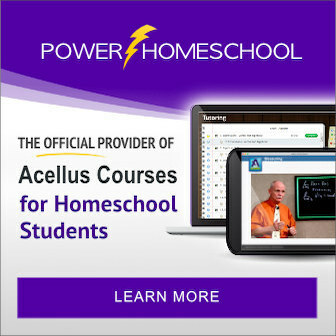 As a parent who is fairly new to homeschooling, I truly appreciate your efforts to provide free resources to those in need of a little guidance. Our son should start earning high school credit next school year so I'm already looking at record keeping options. Thanks so much for being such a blessing by sharing for free. I used your gradebook last school year, and it was a great help. This is a great tool! I could not get the excel version to download and am not sure if the Open Office would open in MS Word? Please let me know. Thanks so much! Did you right-click the Excel link and choose "Save As"? If you just click directly on the link, your browser will try to open it and it'll be weird code. You'll definitely need to right-click to download it. Thank you! This is exactly what I was searching for last week. I broke down and made one, but it isn't nearly what this is. Much appreciated! I have a question i noticed someone mentioned a "gap" year in an earlier post. My daughter is 15 & i just pulled her out of school for bullying. she will be 16 in4 mos. Do you know if theres any way i can just let her wait until she is 17 and take the GED? Do i have to have her enrolled in something? Mimi, That will all depend on the laws of your state. Have you been able to research any of your GED laws yet? At the bottom of your Excel High School Credit Planner, you have Sophomore at the bottom of what should be the Junior year planning period. Can you please correct as the screen is password protected and let me know once that's done. Otherwise it looks like a fairly questionable form. Thank you! My youngest dd declared that she should homeschool starting this year. I used to homeschool my three children in the past but they've been in public school for the past 3 years. Dd's saying sitting in the public school classrooms is a 'total' waste of time. It's already mid July and I am in a big hurry searching and preparing for this year alone. I didn't know where to start but your forms saved me from my misery in many ways.Thank you so much! I am so glad to have found this!! I've found one small problem: On the Open Office version ,Credits by Semester page Sophomore year is listed twice across the bottom. One should be junior year. I can't figure out how to edit. I just get a "protected cells can't be modified" message. @Pam, I just posted an update to this that fixed the Sophomore/Junior typo. Happy to have this valuable spreadsheet! Thank you! 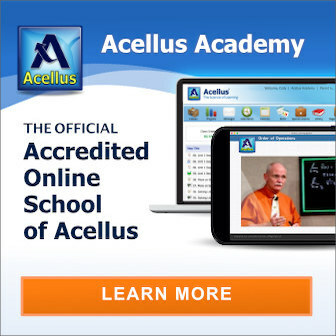 This is an awesome resource for folks homeschooling high school in traditional ways. Thanks for offering it for free too! 🙂 For families who are more eclectic in their high school homeschool years, I have some examples of how to do narrative transcripts and other types here: http://www.examiner.com/article/homeschool-101-how-should-i-compile-high-school-transcripts (along with some other traditional transcript forms and examples). Thanks for this planner, Joy. My oldest just started 9th grade and this is probably the most simple credit planning tool I've seen. I appreciate you offering it to us for free! Our advice; ask yourself "What is the end game?". My oldest at-home daughter has entered into her Freshman year. After putting her older sisters through public school from K to 12 I already had a "feel" for what we would need but didn't want to cookie cutter the state system. After all, isn't that why we home school? That's when I got the bright idea to contact the admissions counselor for her "dream college". They told us that they don't care so much about WHICH program a home schooled child goes through as they care more about what the child got out of it. This told me that SATs plus her extra activities were going to be the golden ticket. So, we looked at the college's admissions minimum and tailored her plan around those requirements. There was a sense of freedom in looking at the end goal and planning backwards. It even gave her the opportunity to choose where she wants to do her "above and beyond" classes, geared for her chosen career, so she's getting more out of her time and effort. Thanks so much for creating this! It is just the sort of tool I need that I was dreading/procrastinating making for myself. I also LOVE the gradebook–also needed to make that. Your hard work is truly a blessing to me!